We will be having a promotion for Viwawa Cash top-ups using MOLPoints. 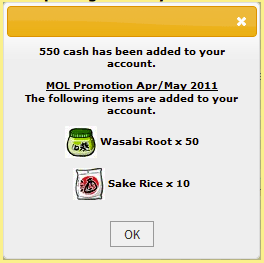 For each cash topup via MOLPoints, you will be given a number of FREE GIFTS! The more you topup, the more GIFTS you'll get! 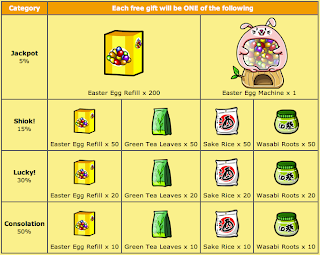 With this promotion, we will be introducing an exclusive machine treat - Easter Egg Machine. The mini Easter egg chocolates are a marvelous treat for customers and will definitely give your customers more patience by keeping them happy! This machine is NOT FOR SALE and only available through this promotion with MOLPoints. Once obtained, the machine will be yours FOREVER. The refills however, will be on sale together with normal refills. Topup your Viwawa cash with MOLPoints now! !